Sridev Suman University PG & UG Courses Private Forms 2014 Notification: -Sridev Suman University is now become one of the Important University of Uttarakhand. And it offered various UG and PG Private Steam courses to students. The Sridev Suman University is started from Last year and start to session from 2013. And there are many of students are completing their graduation and post- graduation course from the Sridev Suman University. The Head quarter of the Sridev Suman University is situated in the Badshahithol Tehri Garhwal Uttarakhand. And as now there are so many collages are affiliated by the University in Uttarakhand. HNB Garhwal University M.ED Examination 2014 Date sheet/ Time Table: -The HNBGU or Hemwanti Nandan Bahuguna Garhwal University is the Central University of Uttarakhand. It is very famous and Leading University of Uttarakhand. 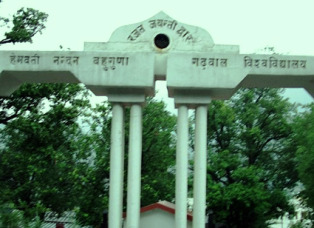 The University is situated in the Srinagar Garhwal Uttarakhand. The University is offers various degree, Diploma and certificate courses to students. And every year many of students are studied from the Garhwal University.